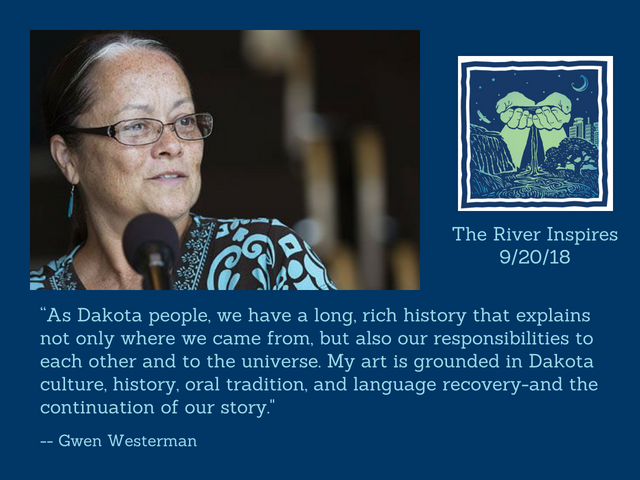 Award-winning fiber artist, celebrated educator and published poet Dr. Gwen Westerman lives in southern Minnesota, the same land her Dakota ancestors called home for generations. In fact, the name "Minnesota" itself finds its origin in Dakota language, "Mni Sota Makoce," meaning, "land where the waters are so clear they reflect the clouds." FMR is thrilled to have Westerman join us at An Evening Celebrating the Mississippi River as we celebrate our 25th anniversary and all that the river inspires in our lives. From the stage, Westerman will share her artistic expression and works honoring our great river, joining Bao Phi, Jearlyn Steele, Seitu Jones and other prominent local artists. Westerman's interests and talents are truly wide-ranging. Her award-winning quilts, many now housed in permanent collections, are made of self-dyed fabrics incorporating traditional, indigenous beading techniques and embellishments as well as adaptions of patterns used by her family for at least six generations. Appearing in many poetry anthologies, Westerman's writing is grounded in her family’s traditions and culture. A collection of her poems, Follow the Blackbirds, published in 2013, has been described as "an intricate balance between the singularity of personal experience and the unity of collective longing, [this collection] speaks to the affection and appreciation a contemporary poet feels for her family, community, and environment." Westerman is also an educator at Minnesota State University, Mankato, teaching both undergraduate and graduate courses in American literature, technical communication, American Indian literature, and the humanities. In 2012, she received the Douglas R. Moore Faculty Research Award for her research on Dakota history and language. 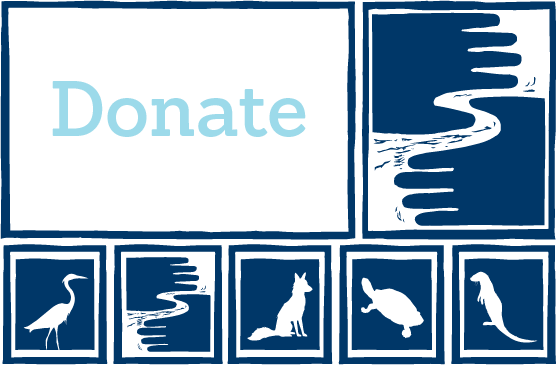 Join us September 20 as we celebrate the importance of a healthy Mississippi and all that FMR does to protect, restore and enhance this ecological and global treasure in our midst. Secure your tickets today to attend The River Inspires: An Evening Celebrating the River at Aria in Minneapolis’ North Loop.